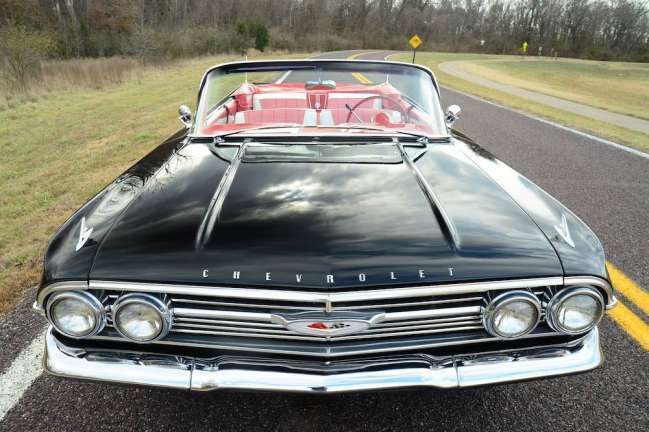 1960 Chevrolet Impala Convertible, frame-off restoration in 2011. 348-CID W-Series Turbo Thrust Tri-power V8 engine (335 HP). Two-speed Powerglide automatic transmission. Desirable color combination. Fresh brightwork, carpet. New white vinyl top. 66k original miles.